Yes! Let me explain. A vegan diet is one that excludes all forms of animal-based products from one’s diet. However, it is entirely possible to be on a vegan diet and still not have a very nutritious overall diet. For example, such a person could eat no animal products but still have a substantial portion of his or her daily intake from processed commercial ‘animal product-free’ and refined commercial ready-to-eat foods, filling up on foods such as biscuits, crackers, sugary cookies, chips, cakes, and different vegetarian alternative or dairy-free alternatives that provide many calories but are not nutrient dense. The same could apply to a vegetarian who excludes most animal-based products (but still includes dairy, eggs, fish or a combination of these categories). Such a person could also still eat many commercially processed and refined foods that are not ‘animal-based products’ but essentially be on a ‘junk food’ vegetarian diet. I’m not saying that one should never eat such foods (I do at times! ), but the real question is what proportion these foods make up in one’s diet. So even though you may be on a vegan or vegetarian eating pattern, it is still important to be smart about your food choices on a daily basis. This is why, personally, I like the term ‘a whole foods plant-based diet’ more than the term ‘vegan’ or ‘vegetarian’, because I feel the emphasis on eating unprocessed and unrefined foods (in my mind) is stronger with the former. This also means reaping more nutritional benefits from plant-based foods as a result. Of course, a person on a vegetarian or vegan diet may also have the same focus on whole foods, but this is stressed more particularly on a whole foods plant-based diet. In my experience transitioning over to a plant-based diet, I have found it relatively straightforward to gradually reduce the amount and kinds of animal-based foods from our family’s diet, while adding in more vegetables and pulses and finding commercially processed vegetarian alternatives to some of the products we have been used to having (like dairy-free cheeses and vegan margarine instead of butter). But now I see the real challenge is to incorporate more whole foods into our family’s diet, and not be simply substituting or depending heavily on the myriad of commercially processed foods out in the market that are not ‘animal-based’. These could include grain commercial products like vegetarian cookies, crackers and biscuits, as well as commercially processed vegetarian versions of familiar animal-based products, that provide calories but may not be very nutrient dense. In our modern day society though, it may be more challenging to achieve a whole foods plant-based diet because of the abundance and ease of using these ready prepared processed foods. I think there is a place for using these products, but it should not take our eyes and focus off of intentionally building a healthy eating pattern around primarily whole foods and plant-based foods. So whether you are vegan, vegetarian or a whole foods plant-based eater, what you eat does matter! Some people also associate vegetarianism and veganism with health food, and forget that sugar and fat can still be used in great quantities even if you don’t eat meat / animal products. And then there are people who don’t know how it is possible to get protein without animal products, which leads them to assume vegans and vegetarians must lack muscle mass. 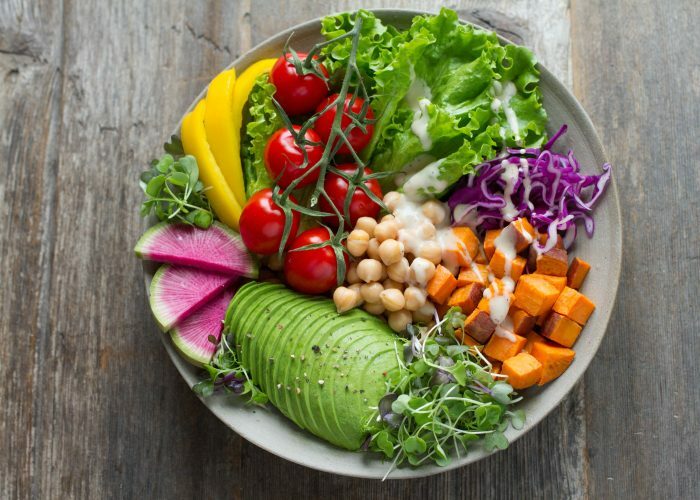 Yes, there is actually a lot of protein in a variety of plant-based foods, and it is definitely best to choose whole-food, plant-based foods where possible. It is important to look at food labels of processed foods claiming to be ‘vegan’ or vegetarian’ to see what ingredients and nutrition they really provide.